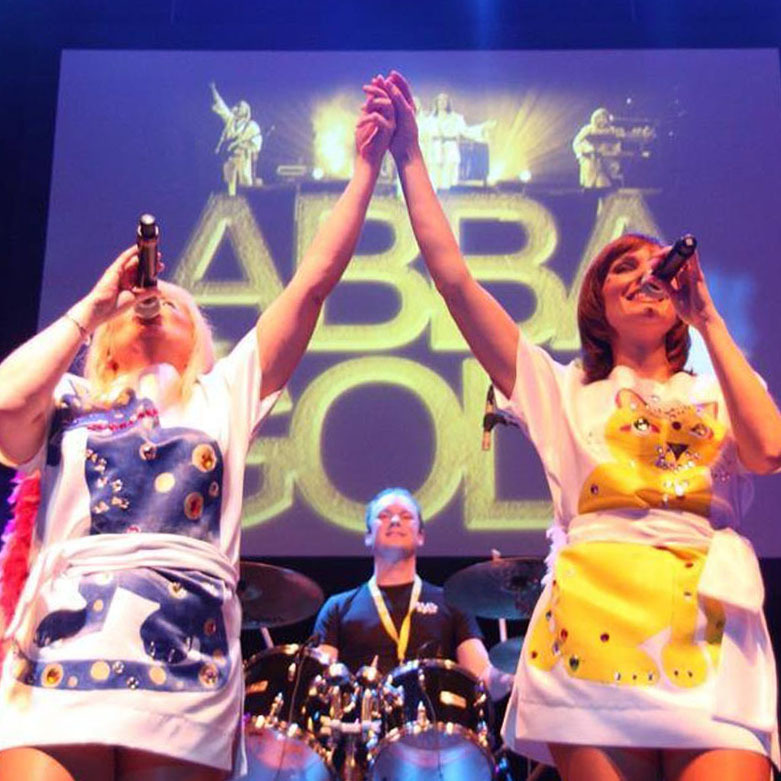 ABBA GOLD as seen on the BBC. 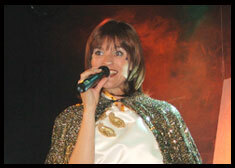 | They are the best Abba tribute band in Europe. Formally trained at the Italia Conti Stage School, Karen moved straight into the London Function Scene which included fronting an 18 piece orchestra. Karen's other achievements include seasons on the QE2, top billing at the main casinos of Monte Carlo plus backing vocals for major artists. 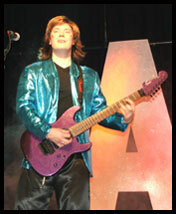 From the age of 16, Mark has been touring Europe with various bands and theatre productions. He is a multi-instrumentalist playing drums, guitar, bass and piano. In the mid 90's Mark was approached by a top London function band, and invited to play in some of the most prestigious venues in London. He is currently recording his debut instrumental album covering all genres from classical to hard rock. Emma is very well known in the modelling world, having modelled for top London agencies, and television companies including QVC. Emma has appeared in many theatre shows playing the roles of Eliza in My Fair Lady and Maria in West Side Story, the most exciting show of all was being asked to join the cast of Phantom of the Opera at Her Majesty's Theatre in London's West End, where she covered and played the role of Madam Giry for 2 years. At the age of 21, Wojtek signed a publishing deal with EMI records as the songwriter for the band Symposium in which he also played bass. 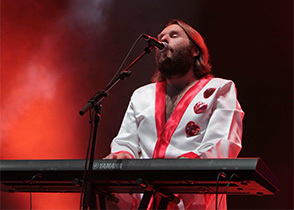 Since then he has had several chart hits, supported Metallica, The Foo Fighters and The Red Hot Chili Peppers as well as appearing on Top Of The Pops, Glastonbury and the Reading Festival. He has also written the title songs for three films and is writing his first book.